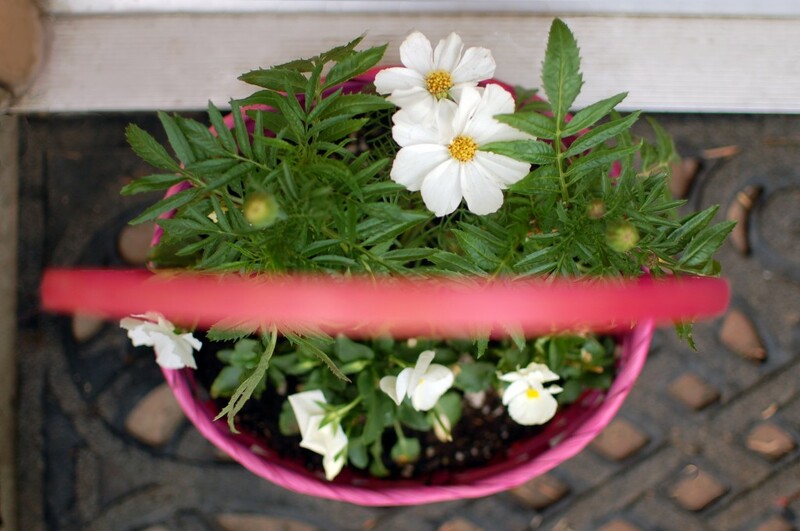 I planted a few flowers in an Easter basket for our front “porch,” and they’re surprisingly cheerful for such a small amount of effort! I love seeing them on my way in and out; they’re a nice reminder that it’s almost Easter. I bought the basket at a dollar store and used leftover plants from our window boxes. If you’re still suffering through freezing temperatures, a basket of flowers would also make a great table centerpiece and houseplants can substitute for garden flowers. 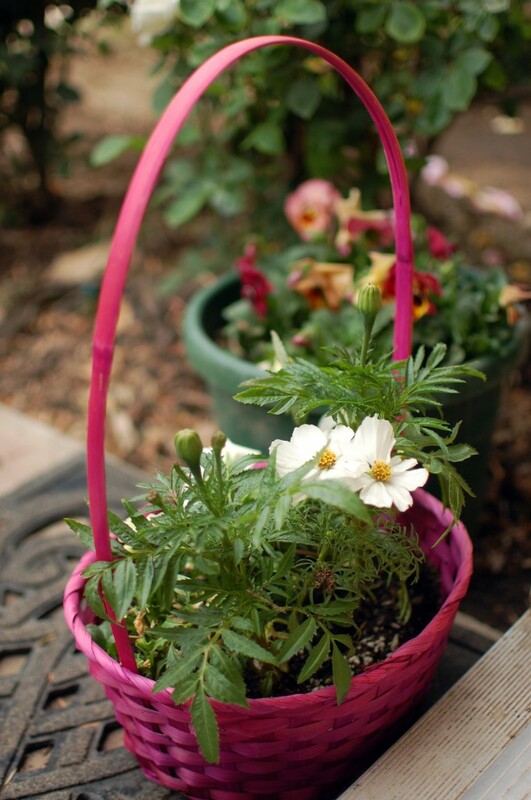 You could even replace the standard Easter basket with wicker for a more sophisticated look (boring! just kidding), and thrift stores usually have them in abundance. 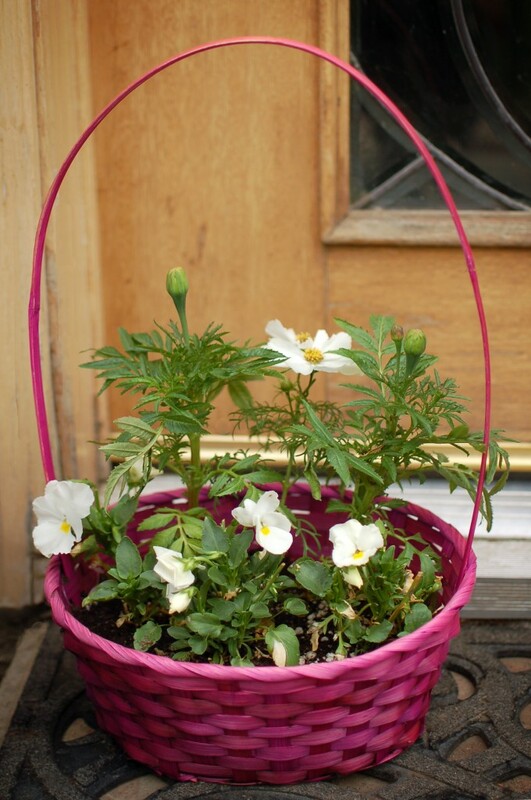 I just can’t help myself with that fuchsia color: shirts, weddings, walls, towels and now Easter baskets! those look very pretty in the basket. great idea!